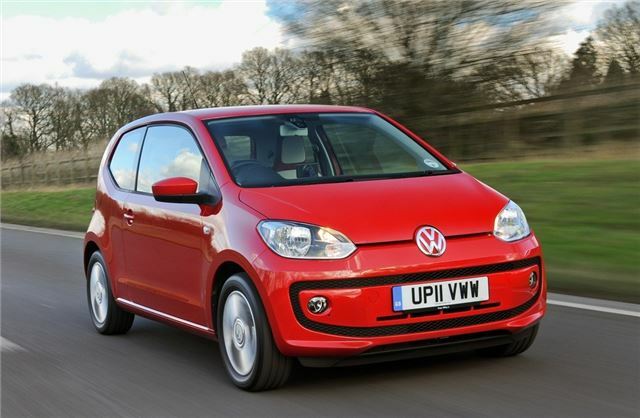 The Volkswagen Up is now available with a new automatic gearbox, costing an extra £595. The automated manual gearbox, or ASG for short, is available on both three and five door versions of the Move Up and High Up except for the BlueMotion Technology versions. The ASG is an automated version of the five-speed manual and has the standard D, N and R modes, although there's no park mode. The gearbox has been designed to switch to the best gear for fuel efficiency, depending on the road conditions and how the car is being driven. You can also change gear manually using the gear lever although there are no paddle shifts. Volkswagen says that the simple design of the ASG makes it more efficient than a torque-converter automatic gearbox and helps keep the cost down. It's also more economical than the equivalent manual with an average claimed figure of 64.2mpg compared to 62.8mpg (in the Move Up) while CO2 emissions are slightly lower too dropping from 105g/km in the manual to 103g/km. The higher specification High Up ASG returns a claimed 62.8mpg (compared to 60.1mpg with the standard manual gearbox) while CO2 emissions drop slightly from 108g/km to 105g/km. The Up with the ASG is available to order now, with deliveries starting in October. Meanwhile an electric version of the Up is set to be launched in late 2013. What sort of emission difference does an automatic UP have over the manual transmission one? I bet, it is more like a marketing strategy rather than anything worthwhile to talk about. Cannot find that information on any site thus far !! !